Perfectly adapted to fit your Milano sofa set! Protect your garden sofa set when it’s not in use to prolong its life. These two covers are made from polyester. 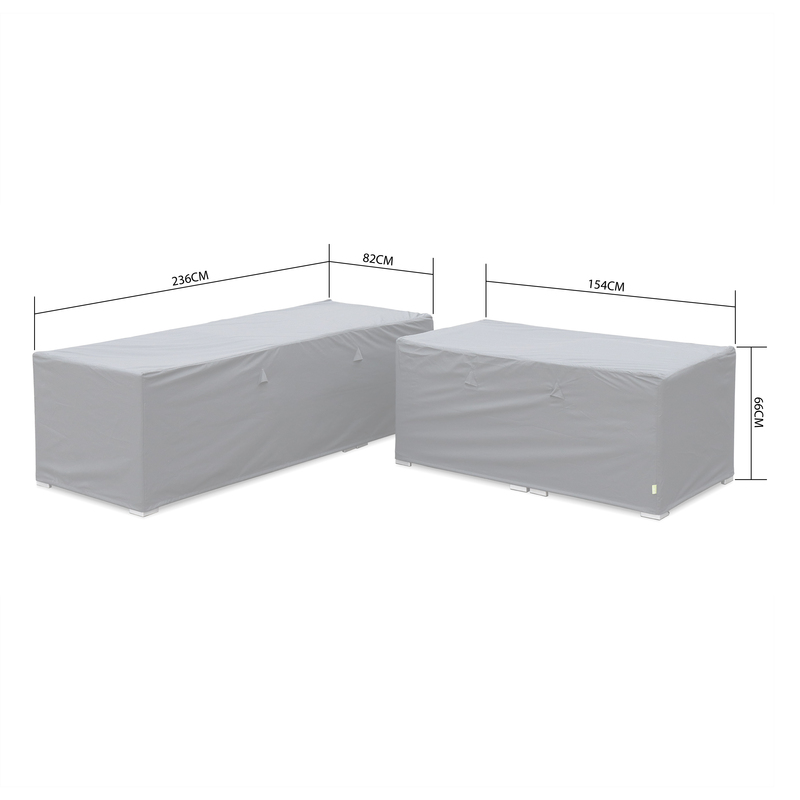 Waterproof and water-resistant thanks to a polyamide coating, these covers preserve your garden set from the rain, dust, and sun, preventing the deterioration of your items due to bad weather. Practical, these anti-UV covers are equipped with closing drawstrings with integrated eyelets. These drawstrings are inserted into the hem and fit into all corners of the covers, which keeps them in place over the entire set. There are two air vents on each cover to prevent condensation. Fresh air circulates equally underneath the covers and therefore, the risk of an excess build-up of moisture is limited. Warning: This cover set has been designed exclusively for the Milano sofa set within Alice’s Garden UK’s product range. We cannot guarantee the cover’s compatibility with other models. We strongly advise you to remove all the cushions from your sofa set before putting the covers on. Cleaning: Use soapy water and a sponge.